Had some spare time over the weekend so I decided to move on on my wireless data logger project. The slave/master communication was ironed out earlier. At least I know that data are being transmitted and received correctly because the checksum is valid. I had no way of knowing what actual data was transmitted because I had no visibility on the communication. 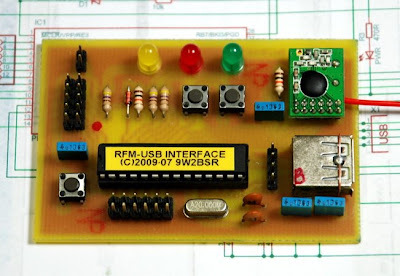 So, I decided to make a small RFM12B-to-USB interface as shown below. 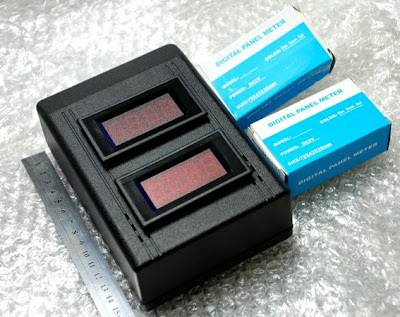 With this unit, I should be able to sniff the communication over the air and display the capture information on a PC. Yet to do some codings for it though, for the PIC and the PC. Not only the interface allows me to sniff the traffic, I can actually make it behave either as slave or master. That will be helpful in testing the configuration and logging protocol later on. Checked your VISA statement lately...?